David Dunham has a PhD from the University of Amsterdam and, until his retirement in 2009, was Associate Professor of Development Geography at the Institute of Social Studies (ISS), The Hague. He has worked in Africa, Asia and Latin America, specializing in agrarian poverty and policy, politics of economic policy, and conflict and corruption. He helped set up the Institute of Policy Studies of Sri Lanka over the 1990s, and was Deputy Rector of the ISS in The Hague from 2002-7. He chairs the Board of ICDI, Leiden, and is on the Board of the SELVA-Vida sin Fronteras Foundation. With on-going concern about the effects of oil pollution in the Oriente, there is Interest in knowing more about the exploration and extraction process, the kinds of chemicals that are used, and ways of reducing the hazards that any expansion would pose. It is felt a better understanding of the risks involved could help efforts to press the government for more effective controls. The note itself is intended as an orientation piece. Public perceptions of oil pollution are strongly influenced by the way it is reported in the international media. Occasionally there are articles on the Niger Delta or what is happening in the Amazon, but the big stories are the Exxon Valdez disaster or Deepwater Horizon, incidents that are of major concern to the developed world. And there are several popular notions that tend to be implied in the way that they are presented—-that the pollution is only from oil, that when it does occur it is from spillage and leakages, and that the usual cause is human error or an unforeseeable accident. Exploration and production is rarely seen as a process that, in itself, is inherently worrisome if it is not subjected to careful oversight and to very strict regulation. Yet, in practice, the pollution that occurs is broader than that presented by the media; spillage is only part of it, and it is often the result of a management’s assessments of risks and costs in which a choice is made to cut corners and save the company money. Mistakes are made and accidents do happen, but costs and the viability of wells are major concerns of the oil companies, and the pressure to cut costs at the wellhead can be very strong. What follows is an overview of some of the issues at stake. It looks at the exploration phase, the drilling process, ways of increasing the outflow of oil and issues in waste disposal. It comments briefly on the interpretation of results and reaches some general conclusions about regulatory enforcement. When a company thinks that oil exists in a particular area, it looks at geological studies and aerial surveys to identify promising rock formations and any possible problems, and seismic surveys are then used to map the sub-surface structures. These surveys can be carried out in several ways but, where the ecosystem is important and access to the area is difficult (as, for example, in flooded rainforest of the Cuyabeno or in the Yasuní), it is standard practice to use a series of sub-surface explosions. “Shot holes” are bored 50 feet or so into ground; dynamite is set off in them, and the seismic waves that are reflected (or refracted) back are recorded for subsequent analysis (a process known as “torpedoing”). The data is then used to construct “a model” of the underlying rock formations and indicate possible oil reservoirs. However, these analyses are very sensitive to data errors and the only way to confirm that the oil is actually there and establish its technical details is to drill an “exploratory” bore hole—which means bringing in a mobile drilling unit, creating storage and waste disposal facilities etc. etc. All this is often passed off as an exercise of no more than a few months that, from an environmental point of view, is of little real consequence. But that is not always the case. Seismic surveys require strips (or “lines”) being cut along the forest floor about a meter wide and soundings taken at regular intervals along the length of them. This is then repeated at other points throughout the area to be surveyed, wherever they are thought necessary (E&P Forum 1991). Impacts then increase when the drilling starts and, as “exploratory” wells often yield inconclusive results or are unsuccessful (as many as 60% of them in some cases), many bore holes may be needed to secure the information that is necessary. In theory, with good public relations, there should be minimal disturbance. Any damage to the vegetation cover should be limited and, in the rainforest in particular, there should be quick recovery. There are standard guidelines for the way lines should be cut (with minimum clearing of vegetation, no trees cut down that are more than 20 cm in diameter etc. ), but they are not always adhered to. The whole process can disturb and disperse wildlife that is important to local communities, and it can easily alienate these communities So, while the tremors from a single explosion are extremely localized, it is not the impact of the one explosion that is necessarily important, it is the effect of the overall exercise—the accumulated impact of work and explosions along the line, the influx of equipment, the drilling of boreholes, the management of waste, the attitudes of staff, all the disturbance it creates, and the fact that it is likely to be repeated over a fairly wide area. In all this, a key issue that is emphasized is public relations. Environmental impact assessments are intended to foresee the problems that are likely to be encountered and companies stress communication with local communities but, in remote areas, impact assessments are not always conducted (or they are just ignored) because the company is dominant, human settlement is sparse and regulation is lax. It can be very complacent. It is all too easy to ignore or exploit communities that are uninformed, but differing perceptions of what is happening can quickly generate ill-feelings and mounting mutual mistrust. And the problems only start there. Once the presence of oil has been established and it is thought commercially interesting, more (“appraisal”) wells will be drilled to assess viability. Pads will be cleared for drilling equipment and the support services that are necessary, and derricks, power generators, mud handling and cementing equipment, storage and waste facilities will all have to be arranged at each of the selected locations (E&P Forum/UNEP 1997). When the drilling actually starts, drilling fluid (or “drilling mud“) has to be injected and it has to circulate continually down the centre of the drill pipe and then back up to the surface between the pipe and the side of the bore hole. This is necessary to stabilize the wall of the borehole, to act as a lubricant, cool and reduce wear on the bit head, clean the bottom of the hole and flush out the stream of rock that is cut away in the drilling process, and for this to work effectively a whole range of chemicals are added. The mud is also used to counterbalance underground pressure in the reservoir and help prevent a sudden upward surge that could see oil gush to the surface (which would be known technically as a “blowout”). For various technical reasons, a deep well cannot be drilled in one go. Instead it is constructed in phases. At a certain point, drilling has to stop and the drill is retracted, the hole is lined with steel pipes that can be screwed together and that are slightly smaller in diameter than the open hole (known together as the “casing”), and cement is pumped into the space between the casing and the side of the borehole. The hole is then drilled to a lower depth, another (narrower) casing string is attached and then cemented, and this is repeated until the well extends to the depth that is required (which normally, in the Oriente, is between 1-4,000 meters). At that point, there are usually both oil and water bearing layers, presenting risks of contamination that can be problematic not only for the environment but also for oil extraction. The depth of a borehole, the way it is cemented and the point at which it is eventually “completed” are all critical issues that need to be calculated accurately. The final part of the well is often continued without casing. Casing and cement are inserted into the hole to give the wall stability and prevent possible leakages (from the borehole out into the surrounding area and vice versa) and, when drilling troublesome formations such as (kaolinite) shales in the Ecuadorian basin, preventing the wall from caving in (or the hole becoming too large) is a serious concern for the operator—hence the importance of stability. However, if the finished well is eventually considered to be commercially viable it is then “completed”, the casing is perforated at the bottom to facilitate oil collection, and a control valve is installed at the wellhead for future use. The well is then converted into a “production well” and the number of wells that are needed is likely to depend on the size of the reservoir and its particular geology—though wells can now also be drilled at an angle (by “horizontal” or “directional” drilling) which can reduce the number significantly. When the wells are in production and oil arrives at the surface, it is pumped to a central production facility where it is separated from wastes and from water. If the well proves unviable, it is sealed completely with cement and it is decommissioned. When that happens, the contents of the waste pit need to be removed (or at least carefully treated) to protect both the environment and the local community. However, when there is no regulation, closure procedures are not always respected and they are not carried out according to the book (as has also been the case in the Oriente). During the drilling process, the main effluents that have to be dealt with are drilling fluids and the cuttings and, from an environmental standpoint, key factors are the composition of the fluids, the volume of cuttings and the methods used for disposal. In addition to water and clay (in particular bentonite), drilling muds can contain oily fluids, biocides or bactericides, corrosion inhibitors, defoamers and flocculants, as well as barium, heavy metals (such as chromium, lead or zinc) and a wide range of chemicals, including soluble salts, ethylene glycol, chloride, petroleum compounds and acids. Until the 1980s, the standard drilling fluids were oil-based, but since then there has been a move to (a range of) water- or synthetic-based muds as they have become available. This has been in part because of volatility problems, but more particularly because of their effects on the environment and the increased regulation. 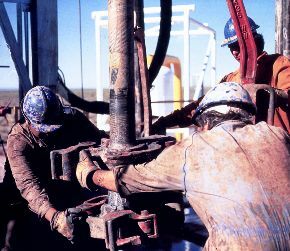 However, having said that, oil-based fluids do not react with shales or clays—whereas, until recent (“inhibited”) fluids had been made available, water-based fluids would react with them and, as the clay absorbed water, clogging could occur, create resistance to drilling and threaten the viability of the borehole. There has therefore been a lingering inclination to look to cheaper oil-based solutions, often with adverse effects on the local environment. But in either case, fluids and additives can accumulate in fairly large quantities and it has been standard practice to store drill cuttings and waste fluids in pits or to bury them (which can often have the disadvantage of making them less bio-degradable). Oil-based fluids are the most worrying (largely because of the oil content and the fact that they stick to cuttings), but the high pH and the high salt content of drilling fluids can also be a serious contaminant of freshwater sources (Epstein and Selber 2002; Lyons and Plisga 2005). The volume of muds (and to some extent the volume of cuttings) can be reduced with investment in advanced technology that improves drilling efficiency though, in the case of cuttings, volume is also a function of the type of well and the depth to which it is drilled. The number and density of wells in a particular area is another an obvious factor that can affect the impact on communities and on the environment. This is likely to depend on the technology used (whether the well is drilled vertically down or at an angle—so called “directional” drilling) and on the kind of oil that is to be extracted. In the case of heavy oil (essentially bitumen, which is as thick as ashphalt but with a high sulphur content that can cause serious corrosion problems), wells are likely to be closer together because the oil is thicker, there is a slower flow, and a higher density is needed for them to be commercially viable. And more wells mean more intrusion. The technical effort that is required to produce a barrel of heavy oil also tends to be higher than that for lighter oils, while commercial margins are lower—creating more pressure to reduce costs and more incentive to cut corners. The extraction of heavy oil can also mean higher carbon dioxide emissions into the environment (largely because of the additional energy required to create and inject steam under pressure to thin the oil, and to pump it out of the ground). Another important impact of drilling comes from the construction of access roads, opening up an area to spontaneous settlement. This is often a major concern for local communities, but it is an issue to be discussed at greater length in a separate paper. The public image of an oil well is that, if you drill down into a deposit, the pressure released will be such that oil will gush to the surface. But that is a simplification. It normally does happen. Most commercial wells that produce light oil are initially free-flowing and require little or no pumping (so-called “primary recovery”). But the pressure declines over time and, as the flow of oil weakens, other procedures are likely to be needed in order to keep the well viable. Often it is just “rested” (to let the pressure build up again) or pumping mechanisms are used, but more drastic measures may eventually be needed to increase the pressure—re-injecting water below the oil or to the side of it (so-called “secondary recovery”), or using chemicals, heat or steam to make the oil less viscous so it flows more easily (so-called “tertiary recovery”). Several aspects are relevant from an environmental standpoint. For example, a reservoir rock has by nature to be porous and permeable, with additional cracks and spaces within it that contain oil and through which oil will eventually flow. If the yield is not adequate, these cracks can be enlarged by “hydraulic fracturing” or “fracking”, a process that has been in use since the late 1940s. The basic idea is that a high-pressure mixture of fluids is pumped into the reservoir to expand (or create new) fractures, and to lodge them open with sand or ceramic that are injected as a part of the fracking mixture. These have then to be kept clear but opening up the fractures stimulates the release of oil (and gas) and it allows the oil to flow more freely in the direction of the well. The mixture used is usually described as “water mixed with sand, diesel and some chemical additives”, but those chemical additives are extremely important for the success of the exercise and many of them are highly toxic. A second problem is that the speed at which oil flows into the well is a function of its viscosity (of how thick it is) and, if the oil is very heavy (as is the case in the Cuyabeno and the Yasuní) then the flow can be very slow and it may only ooze from the wellhead—requiring many wells that are relatively close together for viable any commercial extraction. All this means that one of the main tasks of production technicians is to create the right pressure regime for a particular geological situation and for that particular deposit, so the well is kept working viably over the course of its lifetime. However, such is the range of problems that can be encountered in the exercise that solutions are often location specific and they also change over time—as may the cocktail of fluids that is injected to keep the process going. In this, it is the viability of the well that will preoccupy specialists though, where regulations are tight and enforcement is effective, liability is factored into their thinking and the choice of chemicals they rely upon. 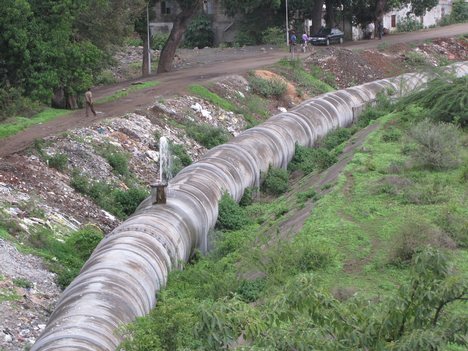 Unfortunately, in other areas (and Ecuador is one of them), enforcement is not strict and, while there have indications of changes in recent years, little is known of the fluids that are being used. Elsewhere, particularly in the developed world, changes have been noticeable. “Fracking” has been widely used, and it has attracted scrutiny from environmentalists, lawmakers, and also company shareholders. The Bush administration advocated energy policies that were specifically designed to boost domestic oil (and gas) production in the United States and, as reserves declined, new methods of extraction began to appear increasingly attractive—including widespread fracking. However, in the process, serious risks were flagged in relation to the environment and it began to be politically difficult. Investigation by Congressional Democrats found that vast amounts of [water containing] hazardous or carcinogenic chemicals had been injected into wells in 13 states between 2005 and 2009 and fears quickly mounted that they would contaminate drinking water. A 2011 report by the House Energy and Commerce Committee referred to companies “injecting fluids containing chemicals that they themselves cannot identify” and concerns were voiced about the secrecy surrounding many of the chemicals in “hydrofracking fluids”. Many had been found to contain benzene, toluene, xylene, ethylbenzene and lead that are known to be human carcinogens or hazardous air pollutants, and regulators and environmentalists became worried that highly toxic chemicals could find their way out of a well bore—because of above-ground spills, underground failures of the casing or by migration through rock layers. The oil firms have claimed that the information is exaggerated, but they have nevertheless had to respond, and a data base is now emerging about the kinds of chemicals that are in use. It gives an indication of potential risks, but companies are asked to release the relevant data on a voluntary basis and there is no requirement to name the components of proprietary products that could give advantage to competitors. Nevertheless, it is a start. The problem is that, by definition, such a list is contemporary and it is of limited use to anyone concerned with what was happening earlier (let alone with what has been happening earlier in the rainforests of Ecuador). The industry has (predictably) argued that the discharge of fracking fluids has no significant impact on human health or the environment, but that has been received with skepticism and it is hard to check. Another, crucial area of concern from an environmental standpoint is “produced water”—water trapped in an underground formation and extracted mixed together with oil and production fluids. By volume, it is the largest category of waste associated with oil production, and how it is managed poses major challenges to the companies and also major costs. It is clear that a large part of it is water but, in practice, oil, grease and the salt content are major areas of concern—as are a range of organic and inorganic compounds that can produce toxicity, some of which are naturally occurring in bedrock and others chemicals deliberately added for various well-control purposes (US Department of Energy 2004). If oil flows freely and there is no need to boost pressure in the reservoir (which can be the case with a light oil), a company may look to ways of surface disposal because it is the cheapest option. But if reservoir pressure or environmental concerns are issues that they have to take seriously (or if they seem likely to become an issue), much of the produced water (once it is adequately treated) will be re-injected via a separate (deeper or adjacent) well, in part just to dispose of it, but also to maintain pressure in the reservoir (so-called “voidage replacement”), to drive oil towards the well (so-called “water flooding”), force more oil to the surface and increase the proportion that is recoverable (the process of secondary recovery that was mentioned earlier). Re-injecting is then the best option, both from a cost point of view and from an environmental standpoint. If the process is done properly, the produced water that is re-injected will not pollute the environment, and maximizing the recovery of oil from an existing well will always be preferable to leaving much of it underground and having to look for new reservoirs. Re-injection has therefore, partly for environmental reasons, become standard practice, but it can also be costly. And cost is important because the ratio of produced water-to-oil increases over the life of a well. Re-injection costs steadily increase (because the proportion of water is rising) as oil yields go down (because of the lower proportion of oil) and this can influence outcomes. In the past, it has provided a strong incentive for companies to look alternatives that are less eco-friendly. In thinly populated or inaccessible areas in particular, cost and convenience were the considerations in produced water management—and the easiest and cheapest option was to use low-tech pits that were all too often poorly constructed and leaked into the environment, or to discharge it into streams or lakes where there was very little scope for either dilution or dispersal. And, in these situations, the pollution was considerable. It is noteworthy in this respect that re-injection technology was not in use in the Oriente until about the mid-1990s. So what does produced water contain? There is no simple answer and the list of potentially hazardous components is often seemingly interminable, but it typically contains water, salts, whatever metals happen to occur in the reservoir rock formations, dissolved or suspended hydrocarbons, sand, and injected fluids and additives used in exploration, production or routine maintenance (corrosion inhibitors, scale inhibitors, biocides, emulsion breakers and clarifiers, coagulants, flocculantes and solvents etc.). It can include quantities of benzene, tuolene, ethylbenzene and xylene (BTEX chemicals that are known to be human carcinogens), heavy metals such as barium, arsenic, cadmium, chromium, lead or mercury and naturally occurring radioactive materials (that are known as NORMs). Other lists exist and the list can be extended, but in the end they are just lists. They still have to be interpreted if they are to be of use—a point that will be taken up later. There are also problems of pipe corrosion, spillage and leakage that are not covered in this note. Acids, sulphurs and carbon dioxide can be very corrosive, substantially reducing the life of carbon steel pipes in areas such as the Amazon where cost concerns can mean that replacement is deferred for as long as is possible. 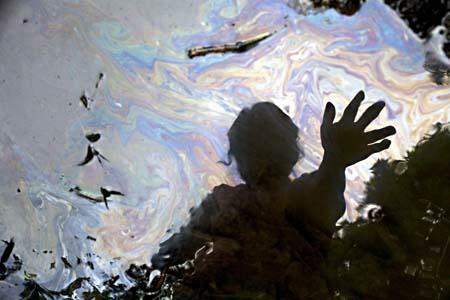 That in turn can lead to the rupture of pipes and to inevitable leakages, and when that happens the light oils, being more volatile, evaporate more easily, while heavy oils cling to plants and rocks and create more damage to environment —an issue that could be future concern with heavy oils in the rainforest. There are three reasons for interest in the chemical constituents of wastes discharged from oil drilling, fracking and production: (i) to get a better understanding of the kinds of chemicals that are (or are likely in the past to have been) discharged in the Oriente; (ii) to try to establish causal links with the high incidence of illnesses; and (iii) to get a better grasp of the processes that need to be monitored and regulated. In Ecuador, attention has tended to focus on health effects, but on all these scores there are still too many areas where details and causation are difficult to prove and much is inconclusive. Available lists of the chemicals in waste are indicative and informative, but they offer no indication of what was actually used in a particular area. Nor does it follow that the chemicals on a list would necessarily have been harmful. Some of the most toxic chemicals, such as toluene and benzene, evaporate quickly (in as little as 48 hours), waste management has differed from one area to another, and the concentrations and quantities of the chemicals that are found can often vary enormously. Field sampling is therefore important, but it is also costly. Similar problems exist when it comes to the effects on health in the Oriente. There is clear evidence that there has been a high incidence of certain illnesses in proximity to oil wells (CESR 1994; Hurtig and San Sebastián-various; San Sebastián, Armstrong and Stevens 2001, 2002; IESC 2004; Pas-y-Miño et al. 2008). But, as the Yanacuri Report already noted a number of years ago (IESC 2004), it is one thing to see patterns in common and another to establish a causal link between these health effects (spontaneous abortions, throat, liver and skin cancers, persistent fungal infections, dermatitis, headaches, nausea) and any particular chemicals that have been discharged into the environment—partly because of the sheer complexity of discharged waste and the secrecy surrounding it, and partly because of the time spans involved, the possibility of intervening factors, and diagnoses and medical registers in the Oriente. It may also be that illnesses are not the result of any one chemical but of the combination or accumulation of many ingredients. The general increase in illness suggests that this may be the case (ibid. 2004). Much therefore comes down in the end to regulatory processes—and processes and the fluids that are used will need to be known for them to be enforced effectively. Regulatory models already exist, not least in the United States (which is often taken as a marker), but in the post-war expansion in the United States there was a growing, increasingly better-off middle class that wanted clean drinking water, an end to urban smog and good water for agriculture. There was broad-based consensus that the quality of the environment mattered and environmental objectives were agreed politically. The political will to change came first, then regulatory standards (not just for oil but more generally). In Ecuador, there is concern with acceptable standards and with regulation, but the political will to enforce them and make them bite would still seem to be lacking. There is deteriorating infrastructure, lax regulation and widespread avoidance of the rules that are accepted too easily. So the problem is not just a matter of regulatory processes it is also one of momentum, of the political will to enforce change. In the Ecuadorian Amazon, where diagnostic equipment is scarce and there are very few doctors, the attempt to link oil pollution to illness is a contentious issue. The industry’s concerns with liability and costs invariably clash with those of the indigenous communities, rights groups and environmentalists who want to see solutions. Claims and counter-claims are made and they are often exaggerated, but something has to give if there is to be any measurable improvement in people’s lives within the course of their lifetimes. It is clear from the literature (some of which was written in part by representatives of the industry) that health risks can be associated with wastes if sound management is ignored and they are discharged untreated (see the E&P Forum). Some hydrocarbons are widely acknowledged to be carcinogens, and some to have negative effects on human and animal development and on reproductive systems. The chemicals in waste can lower the level of dissolved oxygen in water systems (with serious effects on the environment), and the bio-accumulation of mercury and similar products in the animals and fish that people consume can be a serious hazard. It also fairly obvious, though it bears repeating, that effects on people and their environment are always likely to be greater when these people are poor, when they have no access to alternative sources of food or water that are unpolluted and little access to health care, and where they cannot avoid long-term exposure to pollutants and to toxic waste. In such a context, the political will to control pollution, to establish standards for waste treatment and disposal, and to create an independent, viable and credible process of discharge monitoring and enforcement become particularly important. Only then can people and the environments they live in be at all adequately protected and the risk of additional pollution brought under effective control. And that will not happen overnight. The Ecuadorian economy is heavily dependent on oil, and moving away from established, sub-standard practices is bound to be difficult. But negotiations to set it in motion are certainly necessary and, for that, there has to be a better understanding of the processes involved and of potential problems. Department of Energy (2004), A White Paper Describing Produced Water from Production of Crude Oil, Natural Gas, and Coal Bed Methane, National Energy Technology Laboratory. Gorman Hugh S. (1999), “Efficiency, Environmental Quality and Oil Field Brines: The success and Failure of Pollution Control by Self-Regulation”, Business History Review, 73(4), 601-640. Hurtig A.K. 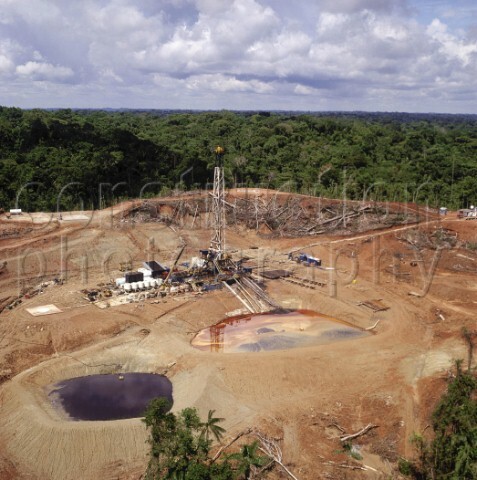 and San Sebastián M. (2002), “Geographical differences of cancer incidence in the Amazon basin of Ecuador in relation to residency near oil fields”, International Journal of Epidemiology, Vol.31, pp.1021–27. Hurtig A.K and San Sebastián M. (2004), “Incidence of childhood leukaemia and oil exploitation in the Amazon basin of Ecuador”, International Journal of Occupational and Environmental Health, Vol.10, pp.245–50. Khayib Z. and P. Verbeek (2003), “Water to Value—Produced Water Management for Sustainable Field Development of Mature and Green Fields”, Journal of Petroleum Technology, January, pp.26-28. Urbina J. (2011), “Chemicals were Injected into Wells, Report Says”, New York Times, April 16. Wernersson A.S. (2004), “Aquatic ecotoxicity due to oil pollution in the Ecuadorian Amazon”, Aquatic Ecosystem Health & Management, vol.7 (1), pp.127-136. 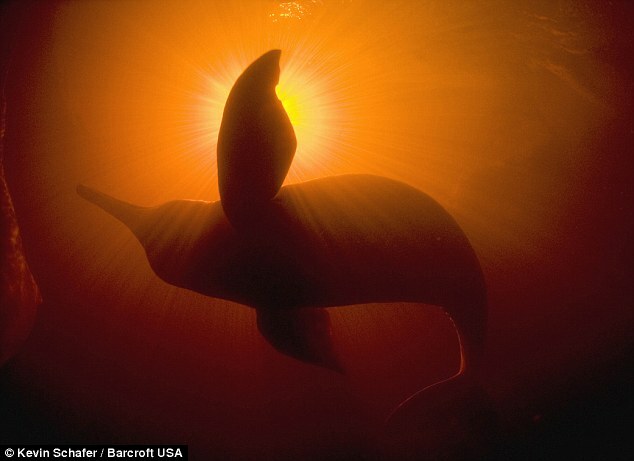 SELVA Vida Sin Fronteras acknowledges Kevin Schafer’s important contribution towards protecting the highly endangered Amazon pink fresh water dolphin. Title photographs of our “The Amazon Pink Dolphin’s Voice” were taken by Mr. Schafer. ~ by FSVSF Admin on 10 June, 2011. Soon I will be posting some more about oil! Thank you for your comment, your opinion is very important for us. page, and your views are fastidious for new visitors. 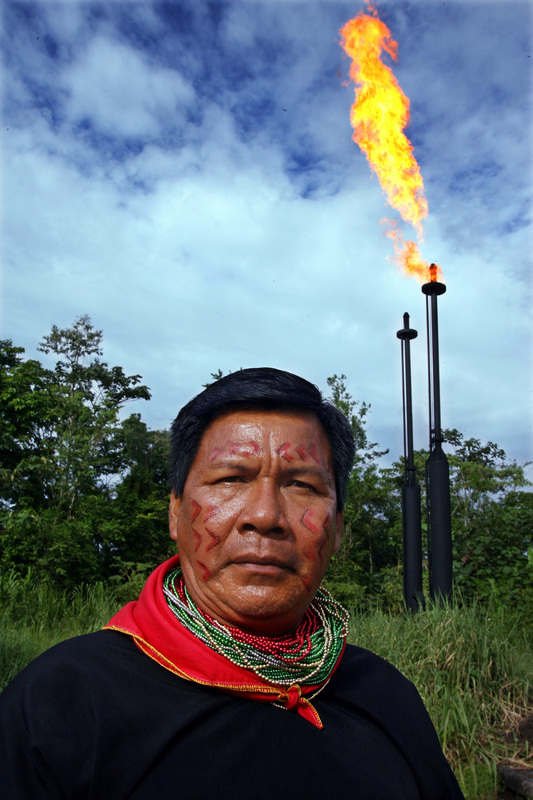 The impact of oil in the Ecuadorian Amazon is becoming critical, both for the indigenous Nationalities and for the environment. having some small security problems with my latest website and I would like to find something more secure. Unfortunately we do not. Sorry.